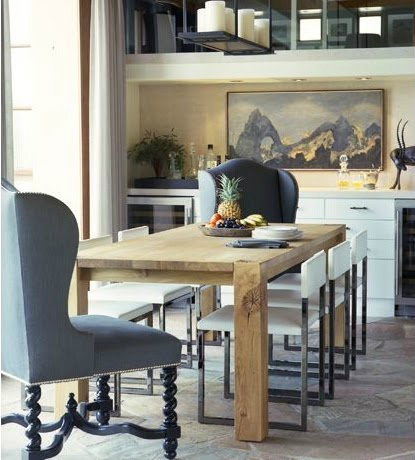 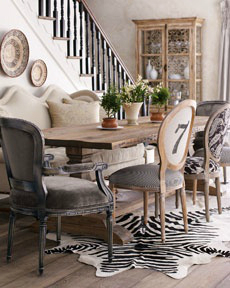 Chairs are a great way to mix and match furniture for a unique and interesting dining area. 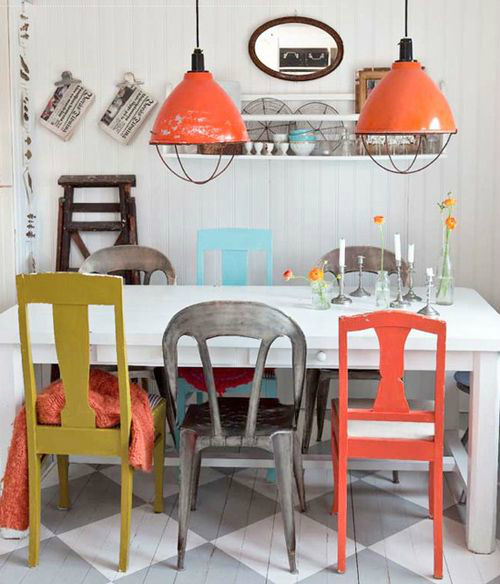 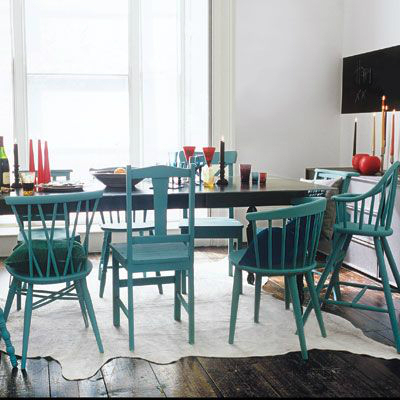 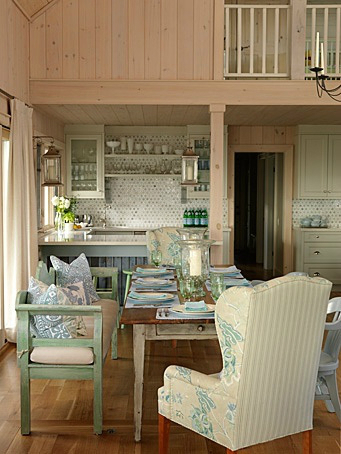 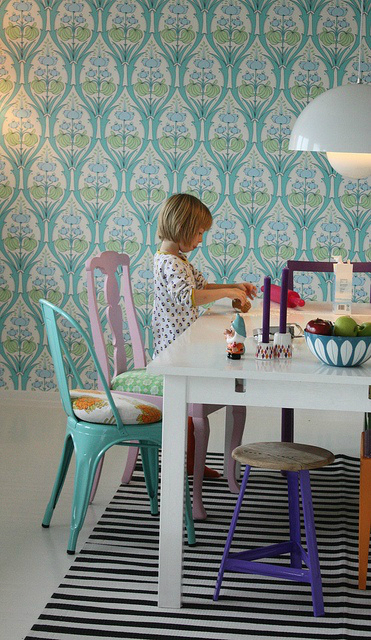 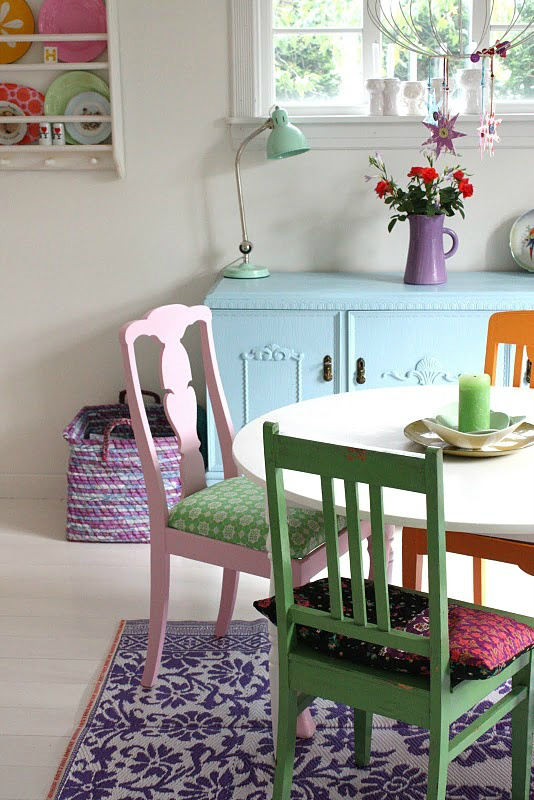 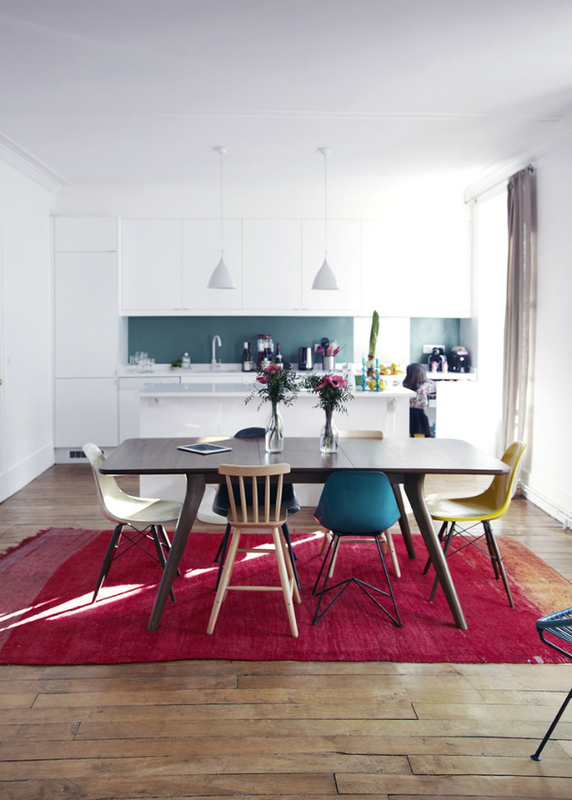 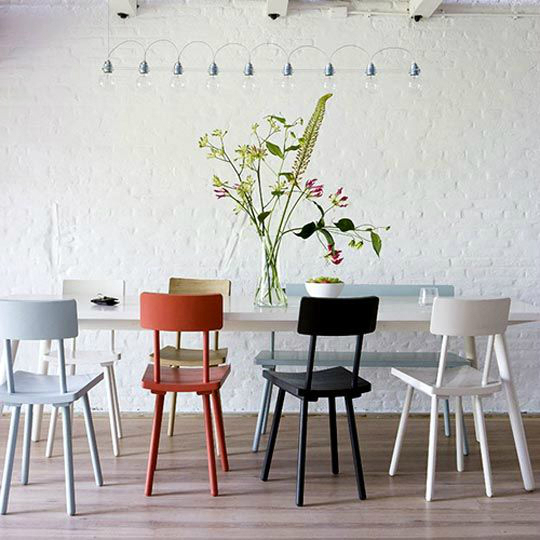 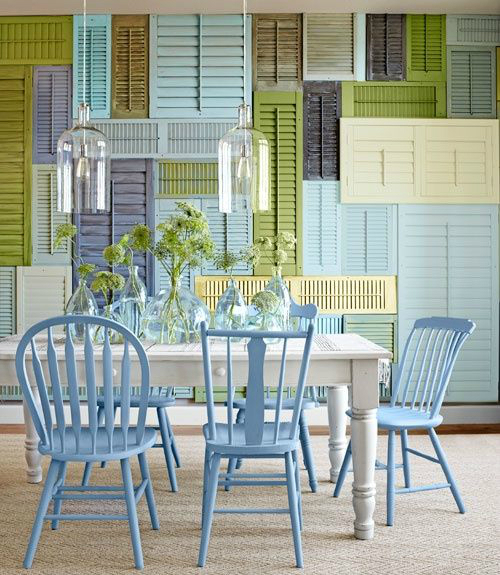 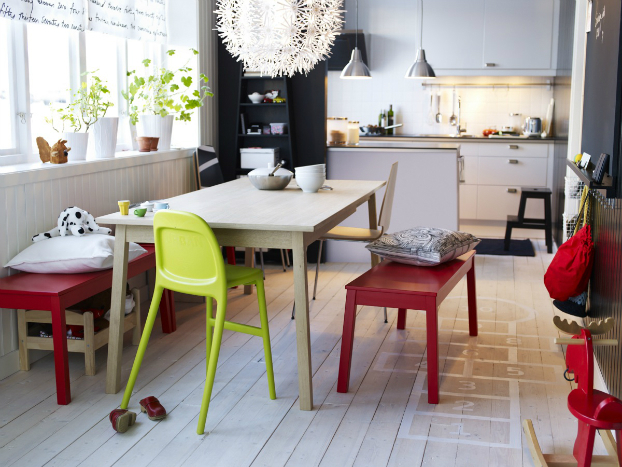 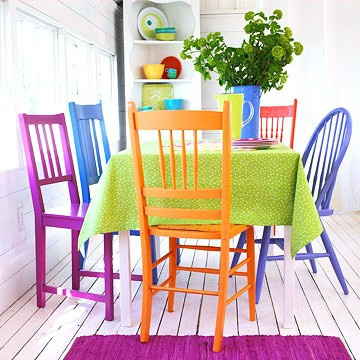 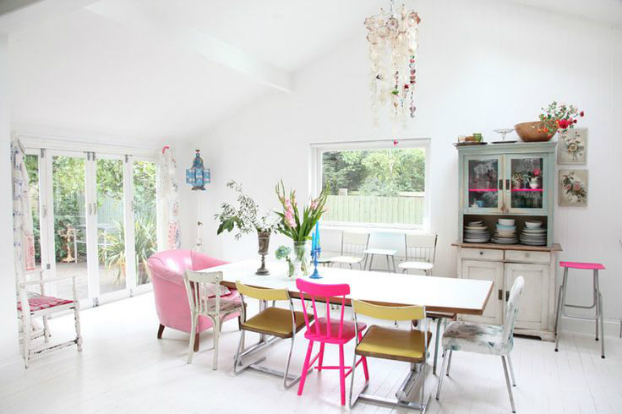 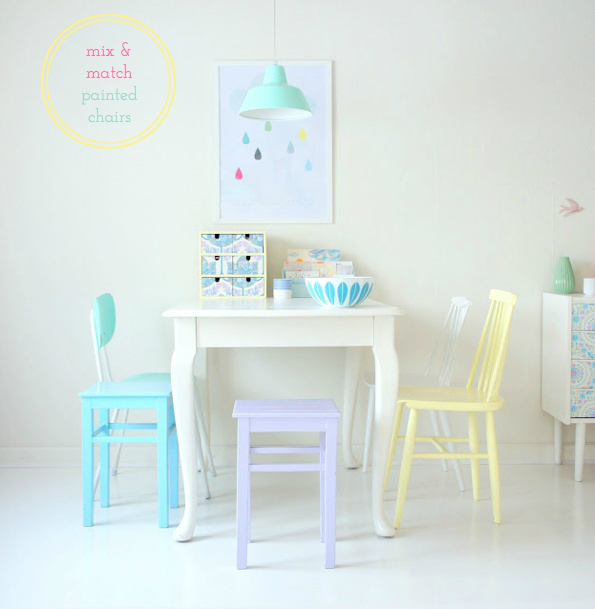 Play with the chairs by mixing different aspects such as color, shape, material and designs to achieve a great look. 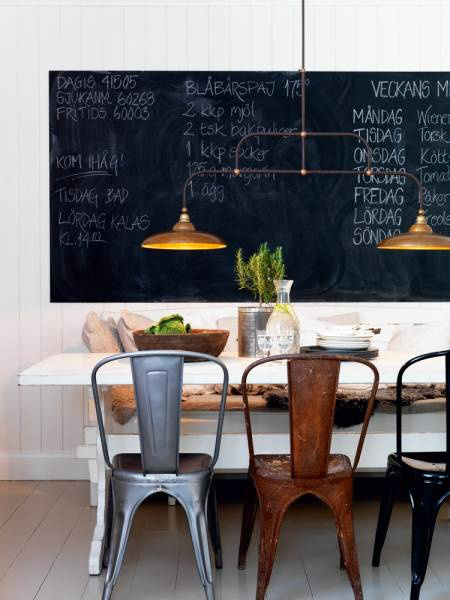 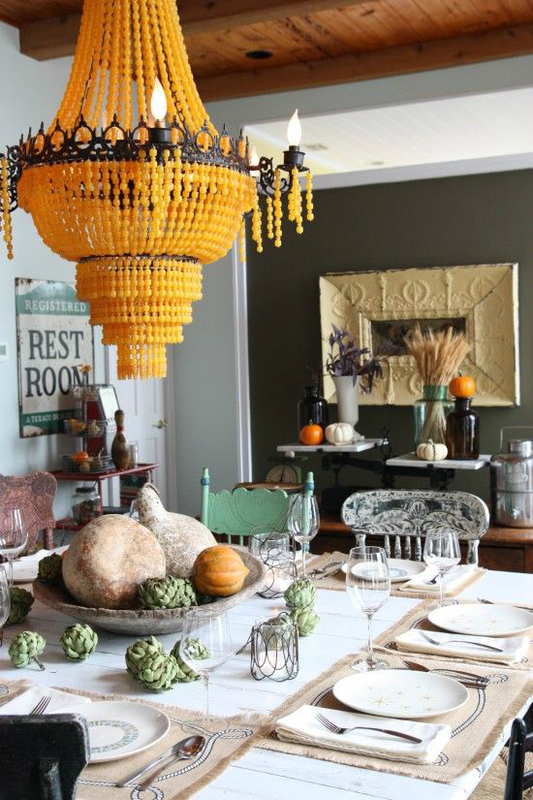 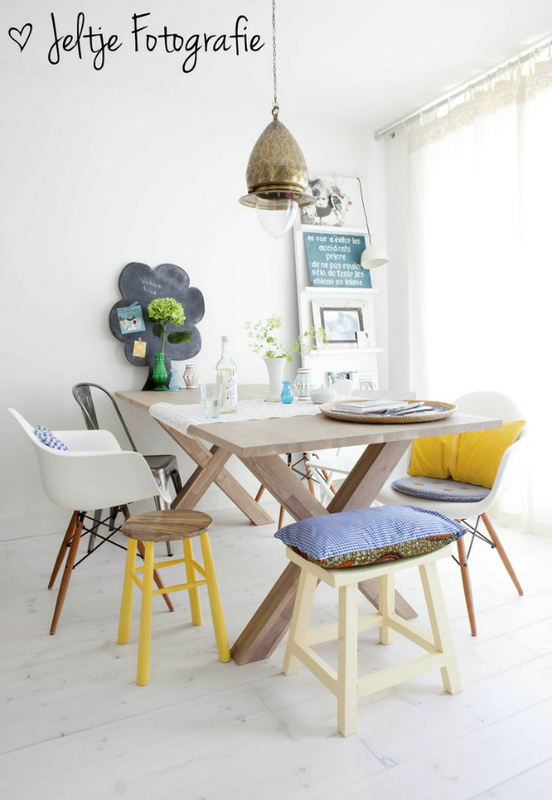 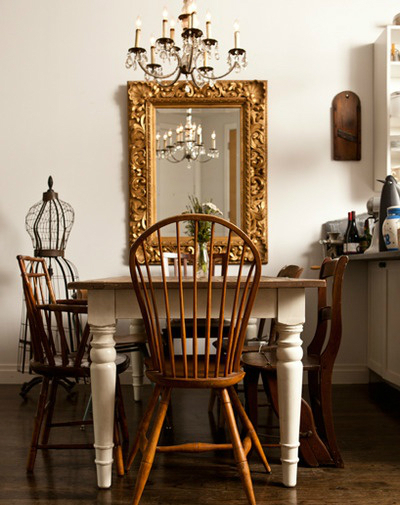 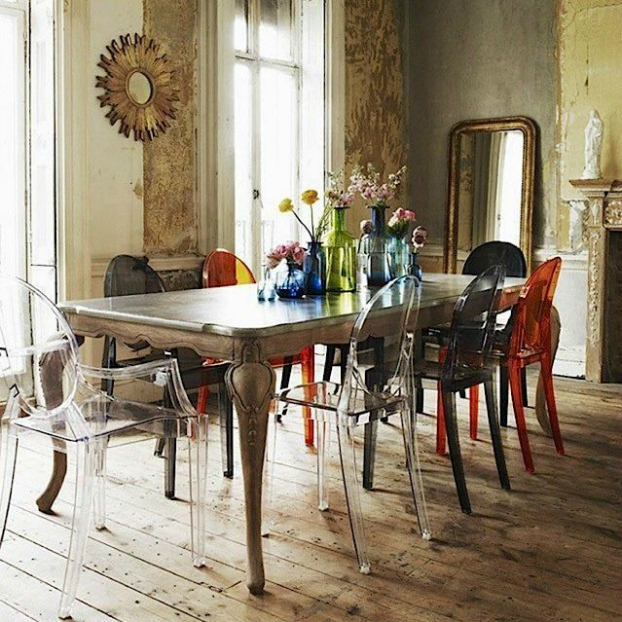 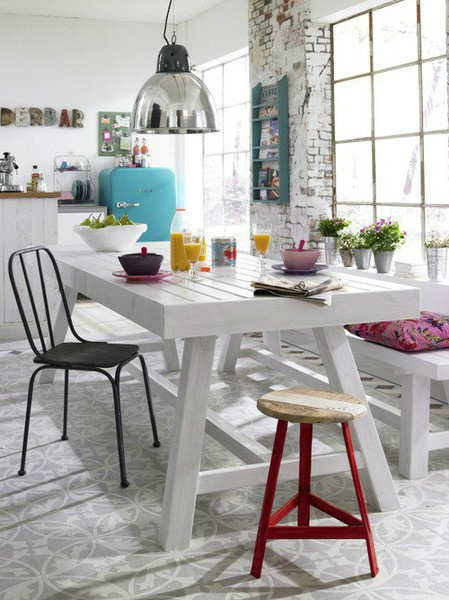 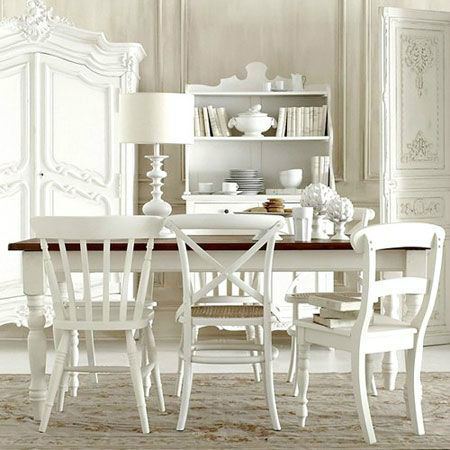 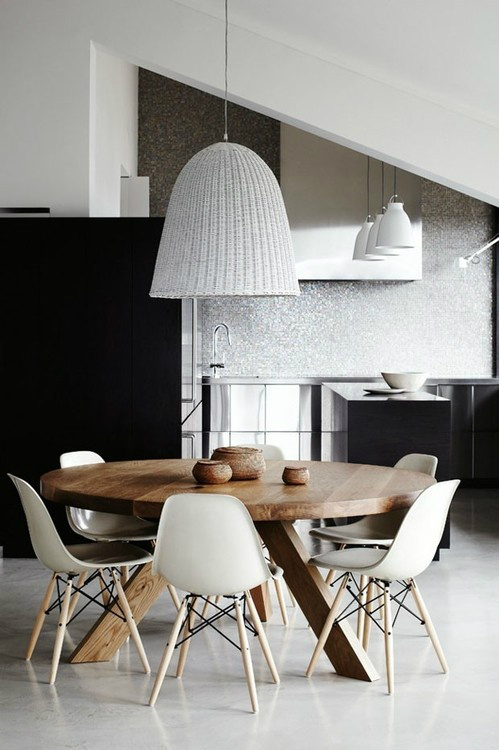 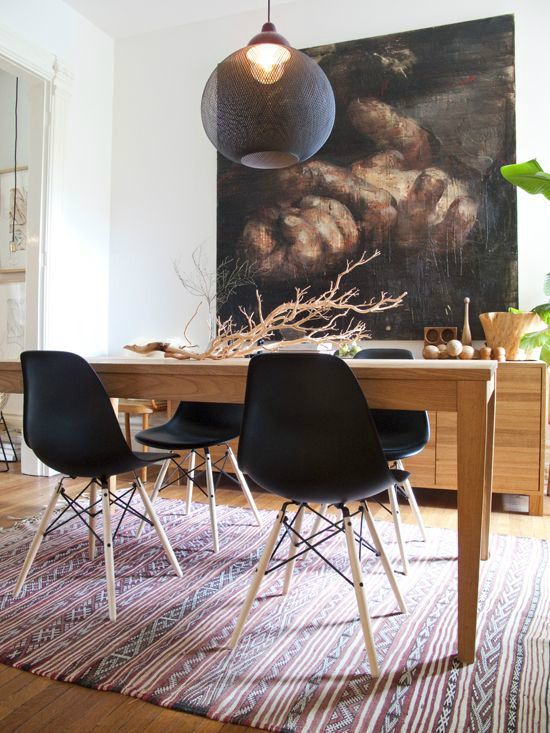 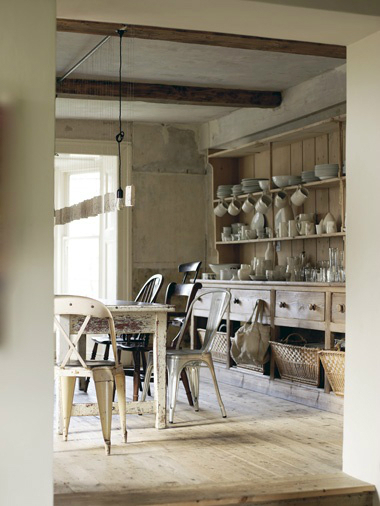 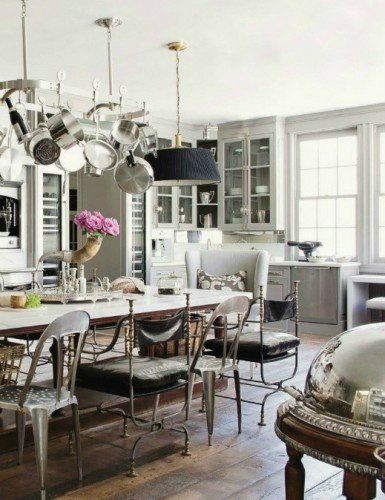 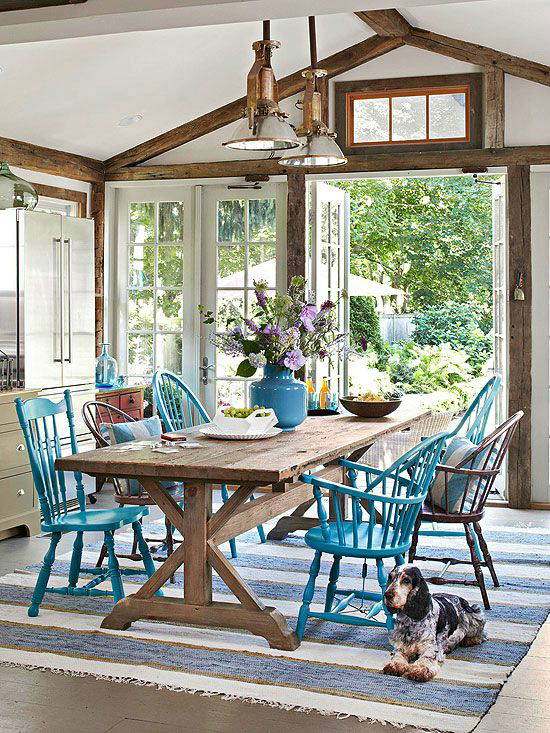 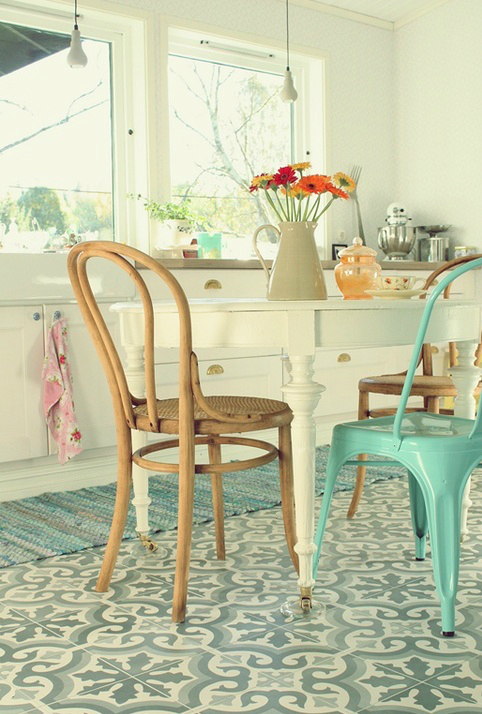 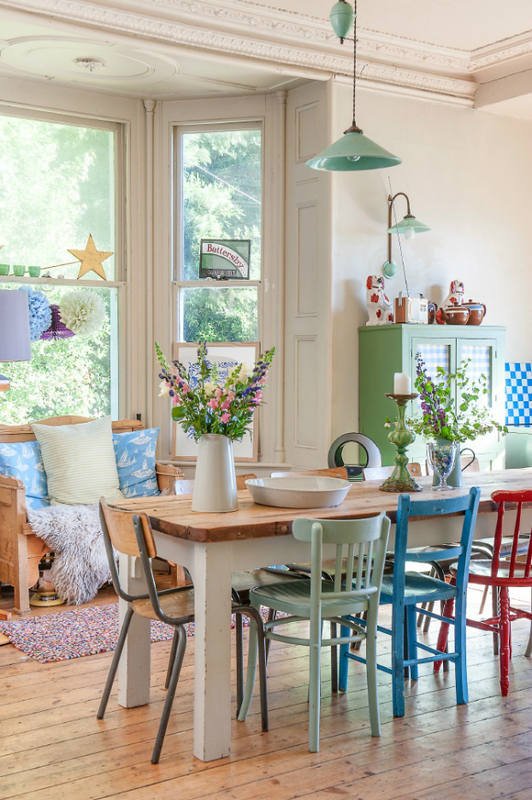 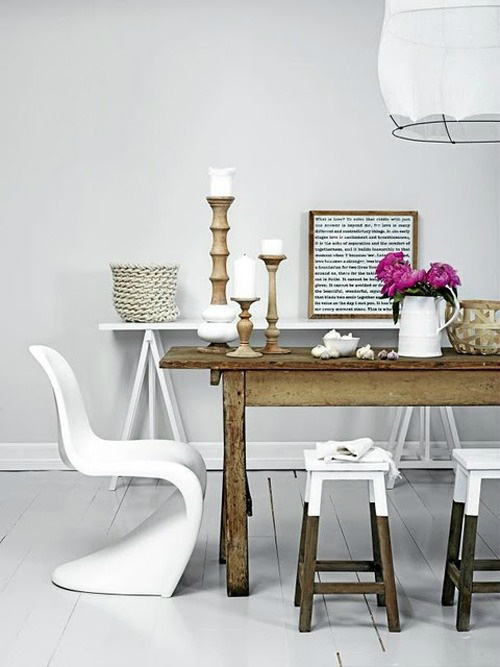 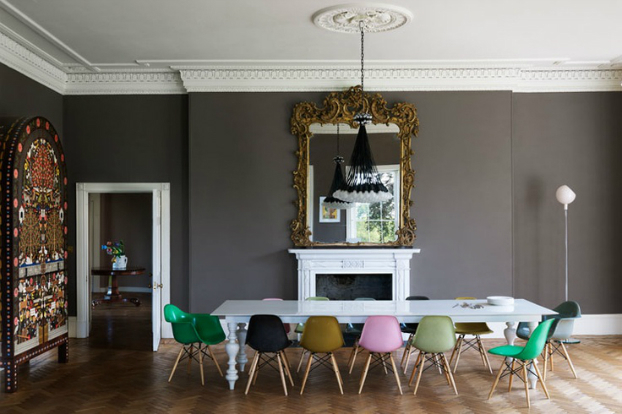 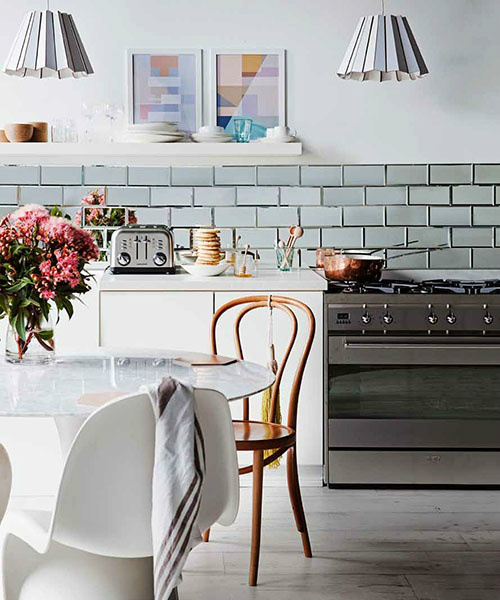 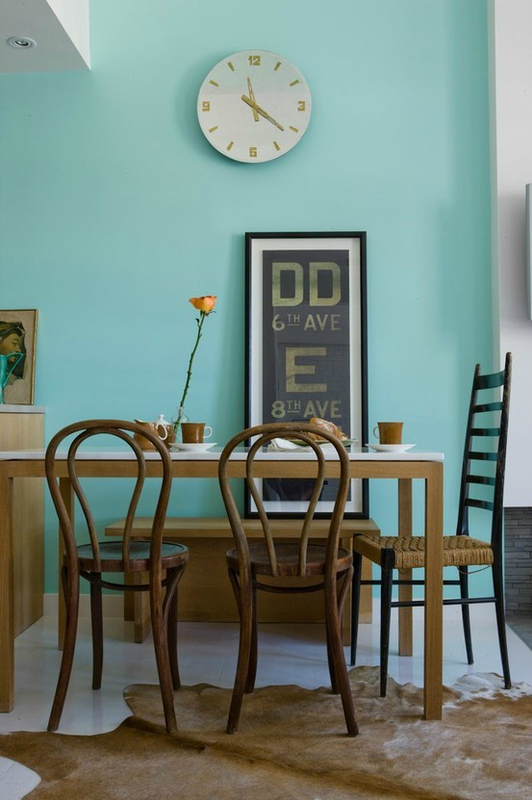 You can even use vintage chairs to add a unique and nostalgic aspect to your dining room. 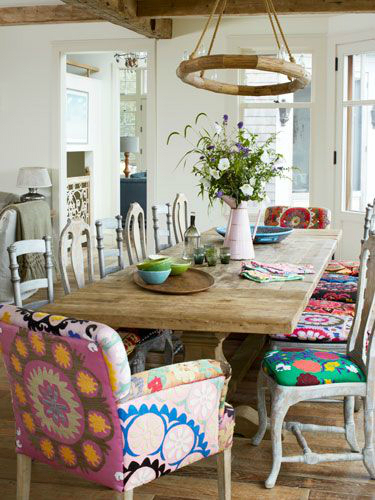 There’s a fine line between mixed and mismatched, though. 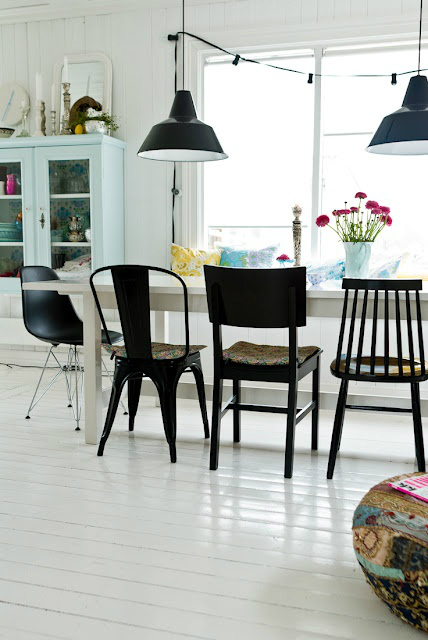 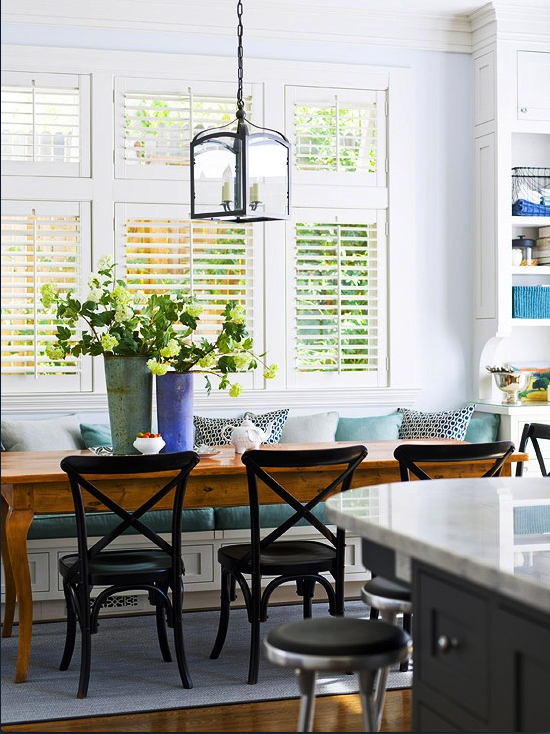 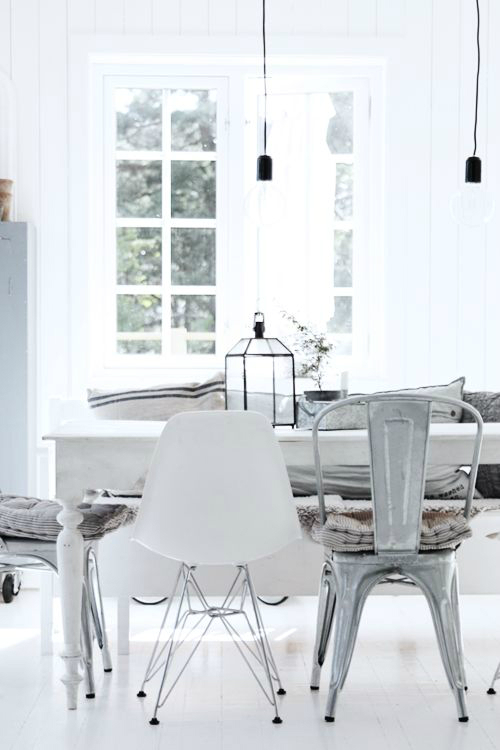 Try it by mixing chairs with and without arms, chairs with rattan and metal, or chairs with high and low backs. 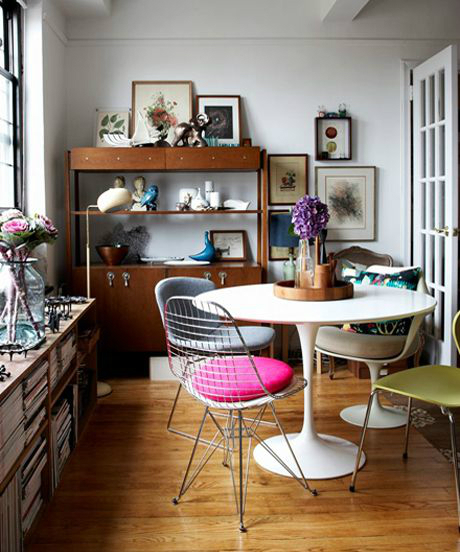 You can do it: Trust your instinct.